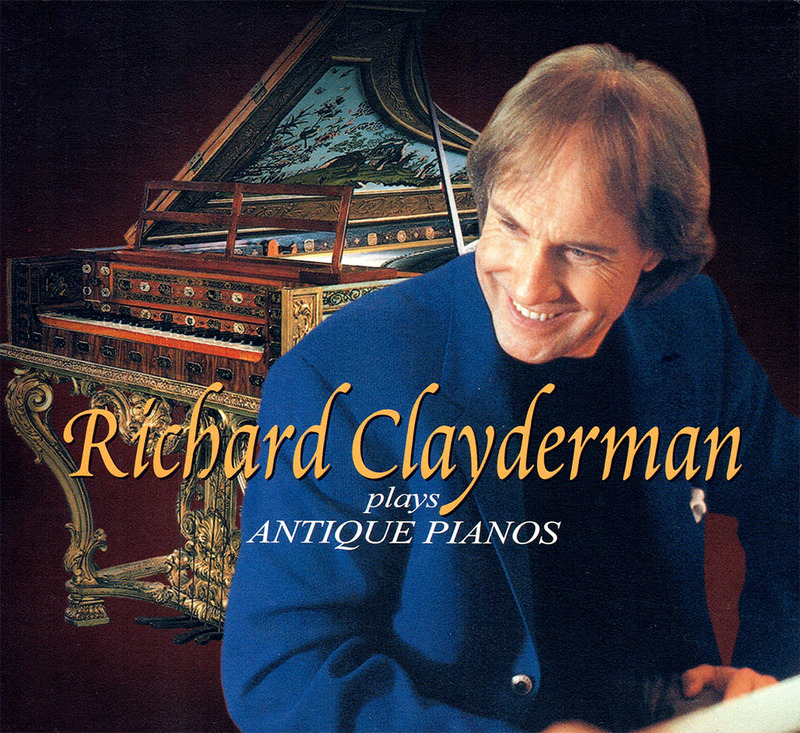 ‘Antique Pianos’ is a studio album for 2003 featuring Richard Clayderman performing mostly Japanese titles on Antique pianos made between 1793 and 1840. Richard travelled to Japan with Patrick Sigwalt (Richard’s Mixer and Engineer) to record with the antique pianos, while the orchestra was recorded in Paris. The four pianos used for this recording are shown below. ‘Okina Furudokei’, ‘Stars on the earth’ and ‘Tsunami’.